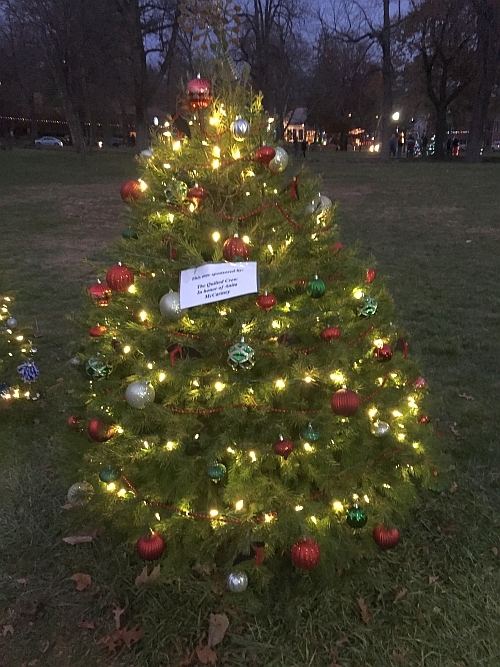 12/7/17 - More great gift ideas from the Crow! 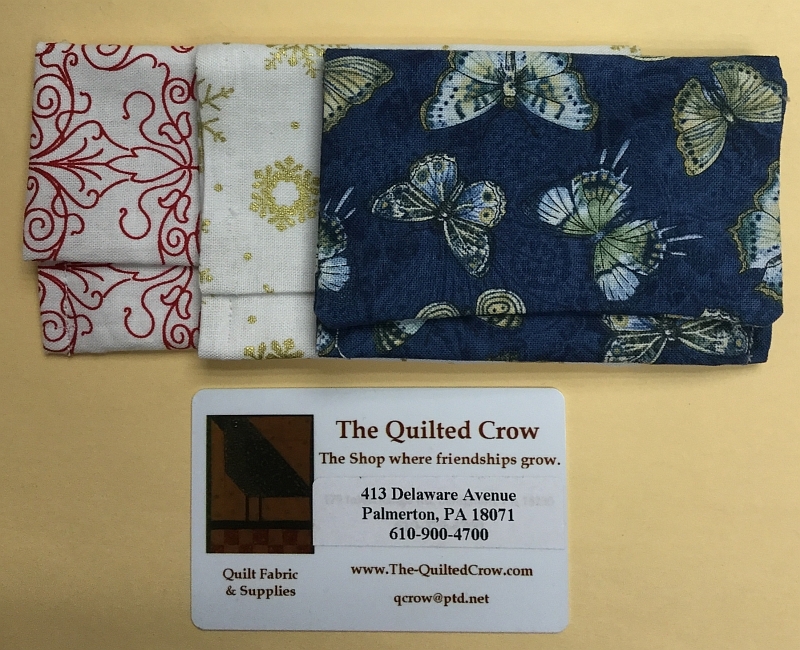 Here are some more great gift suggestions for the quilter who has everything! A variety of holiday mugs filled with 4 neutral-colored fat quarter blenders and a packet of hot chocolate. Great for sewing on those cold winter days! Designed and crafted by local artist Carla Binder, these pins make great stocking stuffers. 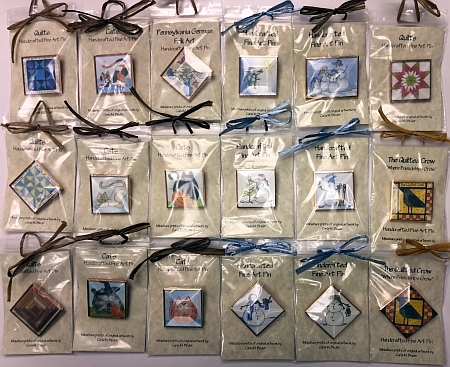 There are 6 different snowman pins, several different cat pins as well as quilt blocks, butterflies and of course, pins featuring the Quilted Crow logo. These pins make great gifts for only $8.95! Heal your chapped hands with our Gloves in a Bottle lotion. A great non-greasy lotion for your hands which absorbs quickly and will not transfer to your fabric. 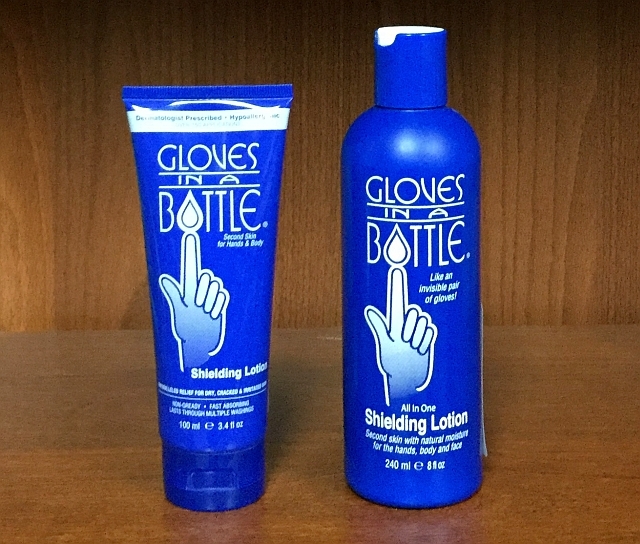 For more information about this fantastic shielding lotion and how it works, click HERE. 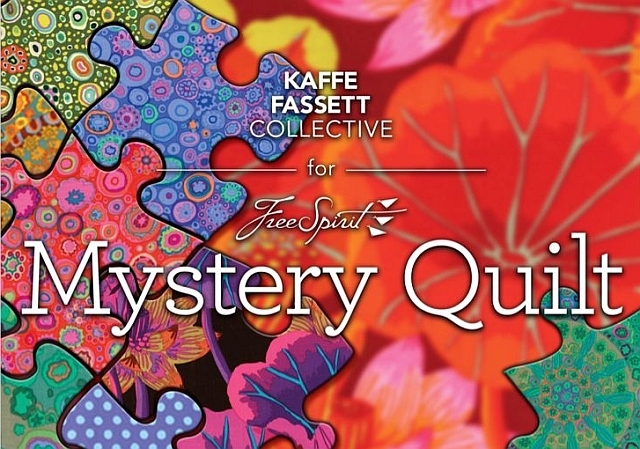 The Free Spirit Fabric Company is sponsoring a Mystery Quilt with pattern and fabrics designed by the Kaffe Fassett Collective. This is a 10-month program which will run from March 2018 to December 2018. There will be two color options, either light or dark, and the final quilt size is 82 ½ “by 82 ½ “. Crow Sew - The next scheduled meeting at the Crow will be onWednesday, December 20th at 10am.